Video created by Liz Ortiz. Featured missionary: Derek Penny. This week, we received some pictures from our teammate, Joan, of a class that was held this week at the Bible Institute in Kara! This is the view from Joan’s apartment in Kara. The large green roofed building in the back is the orphanage and next to it (hidden from view) is the Bible Institute. And this week, 7 men have been attending class on that campus! Honoré (pictured below), an ABWE missionary and Togolese National, is teaching the class. Here, they are focusing specifically on John 20:30-31. Allen and I would love to provide some biblical teaching, too, so we were excited to see that being done. We don’t know how God will fit us into this ministry, but we are waiting expectantly with open hands! This and last school year, the Lord has blessed us with a wonderful teacher for our missionary kids. Marilyn Scraver invested two years of her heart into our kids. However, in June, she plans to retire. Aunt Marilyn’s time here has allowed us missionary moms to apply ourselves to other work and ministries on our team. We are all prepared to homeschool again next year, but it would cause us to have to minimize what we are able to do for our team. Would you please pray with us that God might send us another teacher for 1-2 years to teach our elementary aged MKs? Contact us to learn more! Video created and shared by Liz Ortiz for the TST. Click here to visit Liz’s website. We celebrate Christmas in Togo, too! Here’s how you can celebrate with us! You can participate by making a donation at ABWE.org/give. Mark your gift for one of the needs mentioned. We want to invite you to celebrate Christmas with Hôpital Baptiste Biblique this year! As we enter the Christmas season, our hearts express gratitude to God for the gift of Christ who came to save. 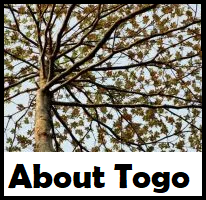 Give a gift of physical and spiritual healing to those in Togo. Check out this link to our 2018 Christmas Catalog and see how you can make a difference! Early Sunday morning, we drove to a small church on top of the mountain. The ABWE leadership is visiting Togo. The vice president, Dave Woodard, is preaching this morning at a mountain church behind Hôpital Baptiste Biblique. He speaks on having a relationship with Jesus. To help illustrate his sermon, he points to a young boy sitting in the front row. “I don’t know this boy or his name. So, how can I be his friend?” Dave then extends his hand in greeting and asks what the boy’s name is. The girl smiles big as she wiggles in her seat and nods her head. Christians in Togo Celebrate Christmas, too! Here’s how YOU can spread a little Christmas cheer this year for your brothers and sisters in Christ in Togo, West Africa! A year ago, Paul Davis was appointed president of ABWE. Since then, he has been traveling the world visiting the different countries where ABWE works. On this trip it was Togo’s turn. ABWE has been around for 90 years. It’s encouraging that the vision has remained the same throughout all 90 years and that the vision still rings true in Togo. During the leadership team’s time in Togo, they were able to experience first-hand the variety of ministries here. The ministries vary from medical and Christian education, to aviation and church planting, and more. It was an encouragement to have the leadership team out in Togo, and it was exciting to be able to show off some of the amazing work God is doing through the ministries here. We look forward to them coming back again to see more of the marvelous work that God is doing here in Togo. The Mallay family served at Hôpital Baptiste Biblique from December 2016-January 2018. When their oldest daughter, Arwen experienced health problems, they returned to the States. She was diagnosed with cancer and has been in treatment since then. The article in the following link was written by Arwen Mallay for the World Medical Mission/Samaritan’s Purse Magazine this summer. The airplane was released from port with some expected difficulty, but arrived at its home hangar on Thursday, December 7th. If you could have been there, you would have felt excitement in the air as everyone from those on the aviation team, to our employees, to missionary kids, to medical personnel from the hospital rejoiced together. It was a great event long anticipated. Just four days later, our family boarded a jetliner for a time at home for Stephanie’s sister’s wedding. It was a good month home, and we are now back in Togo and already submersed in our regular life and schedule. Last week, Ryan and Joe, a missionary colleague working in Ghana, were able to put the airplane back together and perform its first run-ups. They also took a trip down to Lome to meet with aviation officials in order to obtain permission to fly in the country. The results of that trip were promising and we hope to be allowed to begin break-in flights later this week or early next week. Please pray for safety on the first flights, that the airstrip will be smooth and the air clear. Most importantly, please pray that this ministry would be one that honors and glorifies the name of our God; that it would be a tool that magnifies Him alone. It’s Sunday morning. I walk at a brisk pace down the road from the hospital compound to the church in Tsiko (the village nearest me). I hear the drums, the always-too-loud-trumpets and the most beautiful voices raised in song. My heart leaps with joy and my pace quickens. I do not want to miss even one second of worshipping God with my Togolese brothers and sisters. I arrive at the church and nearly explode with joy. I find a place in the congregation next to friends who I have made over the past 9 months. As we worship our creator and sing songs about God’s faithfulness I praise God for bringing me to Togo. I praise God for the loneliness. I praise God for the confusion. I praise God for his grace in my doubt. I praise God for the lizard that fell on my head. I praise God for his goodness; for his promise to redeem me and refine me through hard things. I praise God for Florence; I see her dancing down the aisle; hands raised, eyes lifted to the heavens, face radiating thankfulness, voice lifted high in praise, heart delighting fully in the lover of her soul, Jesus Christ. When I look at Florence, one of the most truly beautiful women I have ever met, I see Jesus Christ. And I praise God for the gift of knowing her; for allowing me to witness her life that is completely surrendered to the Lord. I pray that God would shape me into a woman like Florence, a woman who is consumed with displaying God’s glory. At church, we sing a song in Ewe, one of the tribal languages in the region of Togo where I live, that repeats the word “amenuveve”. I asked one of my Togolese friends what the word meant and they told me that it means grace. Amenuveve is why I am in Togo Africa. Grace. Before I came to Togo I was so excited about all the ways I would be serving and all the ways that I would be furthering the kingdom of God. I didn’t realize that God would use me living in Togo for a year to show me that I am so terribly weak and that without amenuveve I can do nothing.